The packaging of this product made me feel as though the contents would be amazing. I am really persuaded by how a product looks sometimes and this was no exception. Yet, I must say that for Nivea, a brand I know for being really fantastic in terms of skincare, this isn’t the best product they’ve thrown onto the market. When I use a facial wash, which is every day as part of my skincare routine, I prefer my skin to feel super clean, fresh and oil free after I have used it. However, on using this gentle cream cleansing wash I realised that it wasn’t what I was used to. The fact it was called a cream should have rang bells with me, as it really is a cream consistency. It has a few small beads within this, but these cannot really be felt when applying. It applies gently onto the face to wash it, but then when removing with water, rather than my usual squeaky clean feeling that I love, this product leaves my face feeling covered in oil almost. It is made for dry skin and I’m guessing the point of this is to add extra moisture into your face by not stripping too many oils out. When I first used this, I really wasn’t keen and put it away for a while, yet recently my skin has become really dry so I thought I would get it back out again. 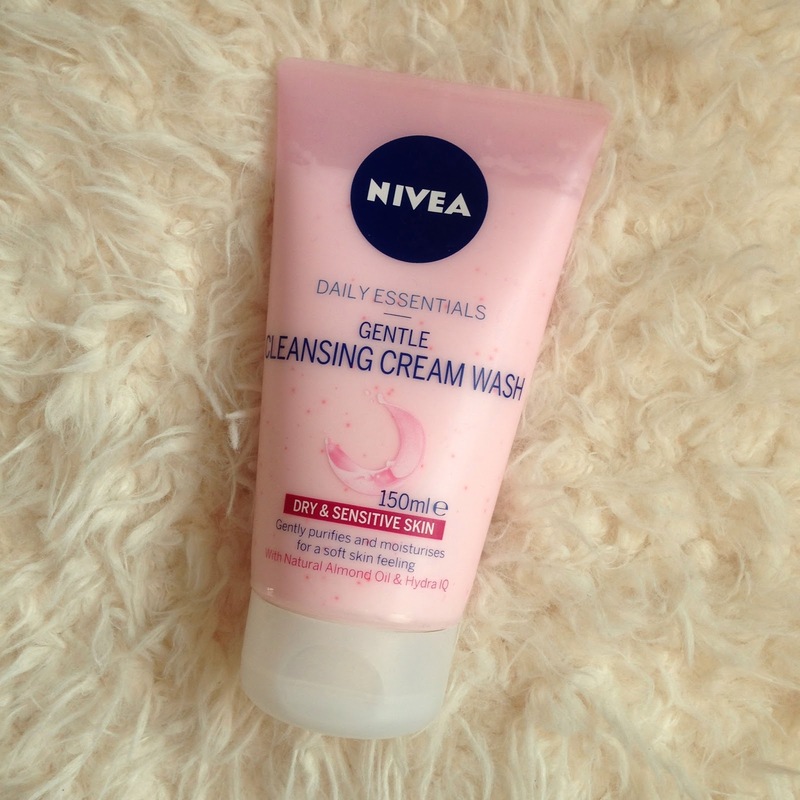 Now my skin is dry, I actually prefer this a lot more and feel that perhaps it is nourishing my skin more. I guess if I use this, I will have to just live with an alternative facial wash feeling. So although I have contradicted myself here slightly, I would say that if you prefer clean, fresh feeling skin and you have normal or oily skin, this is definitely not the facial wash for you. If you have dry skin and enjoy using creams such as Liz Earle, then this might be something you would enjoy using. Its growing on me very slowly. Have you tried this? Would you agree?